For the second straight year, Roger Federer has come up just short of the title in Indian Wells. In 2018, the Swiss held three championship points against Juan Martin del Potro, only to leave empty-handed. This time around, the 37-year-old ran into a surging Dominic Thiem, who battled back from a set down to capture the first ATP Masters 1000 title of his career, 3-6, 6-3, 7-5. 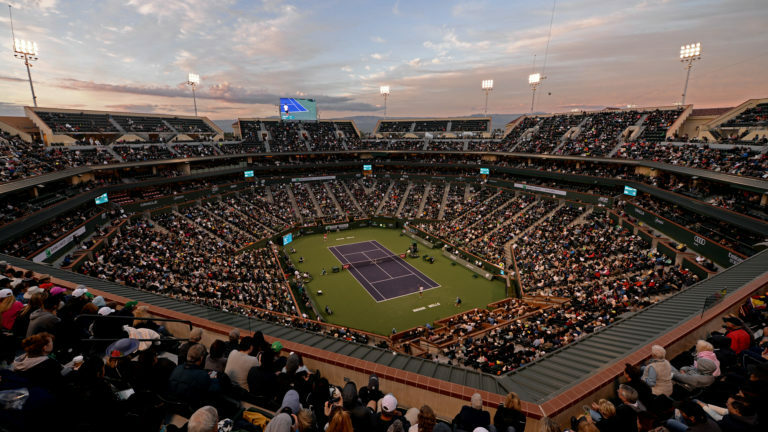 Federer, who converted just two of 11 break points in the two-hour-long match, was chasing a record sixth title in the desert. He’ll have to wait another year to try and break his deadlock with Novak Djokovic. Both players benefitted from pullouts en route to the final. Gael Monfils withdrew from his quarterfinal against Thiem due to injury, as did Rafael Nadal from his much-anticipated semifinal matchup with Federer, which would have been the 39th edition of the so-called ‘Fedal’ rivalry. If his goal was to disrupt Thiem’s rhythm, mixing in dropshots and changing the pace, Federer accomplished that early on. Thiem faced a triple break point on his very first service game of the match. The 25-year-old managed to fight off all three, but couldn’t fend off a fourth. Coming into the match, Thiem had been all but a lock from the service stripe. He’d been broken only twice in 46 service games, and didn’t lose serve during his semifinal win over Milos Raonic, where he faced only a single break point. After an exchange of breaks, Federer would serve out the first set at the 36-minute mark. However, Thiem turned things around, overpowering his opponent and grabbing the first break of the second set. With Federer serving at 1-2, 15-40, Thiem forced a forehand error to pull ahead. Federer was just two points from victory with his opponent serving at 4-5, 30-all in the third. But to Thiem’s credit, he didn’t flinch. In the 11th game of the closer, Thiem chased down consecutive dropshots to set up his fourth and final break point, converting with a forehand pass. One game later, he fell to the court, a Masters 1000 champion at last. Thiem, who recently added Chilean Nicolas Massu to his coaching staff, takes control of the career head-to-head at 3-2. Typecast as a one-surface wonder, Thiem, who was raised on Viennese clay, has shown steady improvement on hard courts of late. While eight of his 12 career titles have come on clay, as Federer discovered in Stadium 1, he is more than capable on cement.